We are delighted to announce our newly awarded project involving the extension of Sports Direct's existing warehouse in Shirebrook, Mansfield. Since the London Olympic and Paralympic games in 2012, the public's interest in sport has caused a dramatic up-rise in business for the popular sports retailer, which is now being reflected by news of this audacious new project. 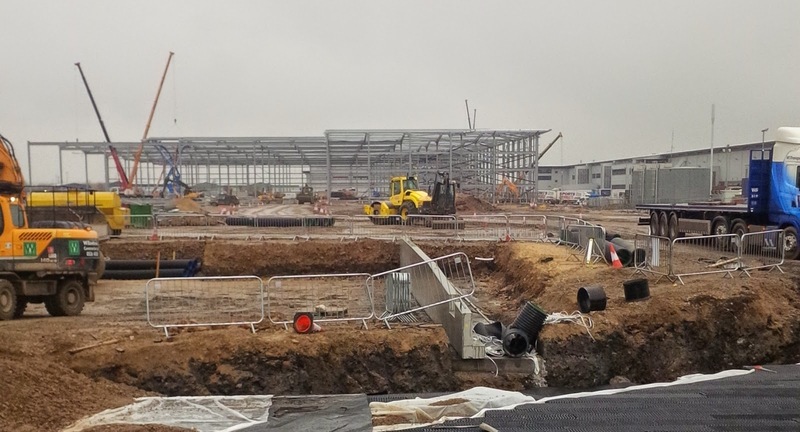 Situated in Nottinghamshire, this gargantuan extension will effectively double the footprint of the existing warehouse, currently serving as Sports Direct's head office. Bespoke's extensive 25 week contract will involve fit-out works to all office accommodation throughout this vast area, including hub and warehouse offices. Our scope of works will include glazed demountable partitions, drylining, screeding, joinery and the installation of both suspended ceilings and kitchen facilities. Works are set to begin in early March and will run until September.